“I don’t think divorce brings out the best in most people,” Joy Ladin, an English professor at Yeshiva University’s Stern College for Women in New York, remarks wryly. And it can be even worse when one of the spouses is transgender. Insensitive exes, uneducated legal professionals and inadequate and sometimes biased laws can make it infinitely more painful for entire families, as Joy, who is transgender, well knows. When Joy came to terms with her gender identity in 2007 and decided to transition from male to female, things did not go well at home in Western Massachusetts, where Joy lived with her wife and their three young children. Because Joy’s wife was uncomfortable with Joy’s transitioning, the couple decided to divorce. They co-parented their children amicably before initiating the proceedings, and Joy tried to make it easier on the kids by not presenting herself as female to them initially. Still, they heard contradictory and painful messages about Joy’s transition from their mother. Things came to a head in the summer of 2008. When, after an argument with her wife, Joy let a screen door slam behind her as she entered the house to see the kids on a visit, her wife called the police. When the police arrived they frisked Joy and ordered her to leave the premises. Yet her wife let Joy take the kids with her for their scheduled visit. A few days later, however, Joy was notified that her wife had filed for divorce, and in so doing had lodged a complaint that Joy’s transition caused her to be a danger to their two daughters, who were 7 and 4 at the time. “Nothing has ever made me feel worse,” says Joy of the accusation. Although the psychologist’s report characterized Joy as overly self-absorbed because of her transition, he determined that she was not a threat to her children and the supervision order was lifted. While the judge ordered Joy’s wife and her attorney not to refer to her with male pronouns or as “Mr. Ladin,” Joy says that beyond that her understanding of trans issues was lacking. “There was nothing about this that felt anything other than awful, frankly,” she says of the divorce proceedings. Although Joy had voluntarily supported her wife and the children financially throughout the separation and divorce, Joy’s wife, who did not work outside the home, characterized her as a husband who had abandoned his family. The divorce settlement assigned Joy all of the family debt and a level of alimony and child support that amounts to nearly half her take-home pay. “There wasn’t any recognition that being trans entails actually a higher level of economic vulnerability and a higher level of economic need,” she says. The attorney who represented Joy felt that Massachusetts’ divorce laws simply did not favor a person in Joy’s situation and encouraged Joy to agree to the terms. Prior to the divorce, the informal agreement between Joy and her wife allowed Joy to see their children five times a week. Under the final custody agreement – for which Joy says she had to fight – she was awarded legal custody, meaning she has the right to make decisions about her children’s upbringing. She is also entitled to see at least one of the children three times a week and have one overnight visit per month with each of them. The entire divorce and custody process left Joy feeling like she’d been mugged. “A system that very rightly puts the welfare of the children at the center finds it hard to address a transgender parent, when current cultural biases may cause those in the family court system to see being transgender as strange and possibly dangerous. That’s going to go against me,” she explains. 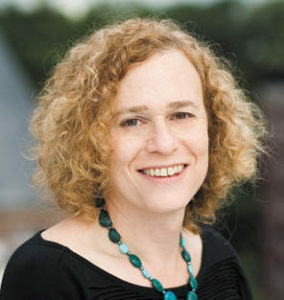 Joy Ladin is the author of the new memoir Through the Door of Life: A Jewish Journey Between Genders.